As I mentioned in the Yuzu Chat, for me a GOAT incorporates three key aspects: master, ambassador and hero. It's important to dominate your era and master all aspects of your sport, but that alone doesn't make you a GOAT. You have to sell your excellence to the audience (create 'magic moments'), make the world remember your achievements and the sport prosper in the future. The greatest athletes in the world were not only sublime technicians but great entertainers at the same time. I always have to remember Usain Bolt in Beijing 2008, where he did not just win and break the world record over 100m, but even had the time to look around and celebrate at the 80m mark. That was insane. Gatlin and Coleman may beat him at his final world championships in London, but Bolt is still the icon of athletics. Ronnie 'The Rocket' O'Sullivan won his last world title in 2013, but he is still celebrated as the indisputable GOAT of Snooker and the biggest magnet of the sport. His super fast and precise matchplay has no equal and he's the most entertaining player in the business. However, I do not appreciate his scandalous behavior (calling other players 'numpties', insulting the referees, playing in socks, revolting against the prize money...). A GOAT should be a role model, especially in a gentlemen's sport and he is not. In figure skating Yuzu has a GOAT status for me, because he incorporates every aspect mentioned above: athletic and artistic quality, unforgettable and inspiring performances, entertainment factor and sportsmanship. I do believe that Yuzu could podium in any kind of judging system, no matter where the focus is: jumps, spins, skating skills, performance, total package. He might not be on top everywhere, but he would be among the top favorites for sure. Let's have a look at the past rivalries: 1. Yuzu vs Patrick 2. Yuzu vs Javi 3. Yuzu vs Nathan. Yuzu was involved in every big battle of the last six years and the interesting thing is that his rivals had totally different strengths: skating skills, performance and jumps. Yuzu could beat them all and that makes him extra special in his era. If I got Yuzu right, he said after the Olympics that the 4A and the total package are his key motivations to continue with competitive skating. He wants to land the 4A in competition, even if he's not the first to accomplish it. It's something that he wants to do for himself. So we can just cross our fingers that the skating gods have mercy with him and protect him from another career threatning injury, when he attacks Nessie. I pray that his ankle will survive the last seasons of his competitive career and Yuzu will be healthy enough to do shows and skate for himself as long as he likes. As much as I love to watch him compete, my favorite Yuzu is the free and unhibited Yuzu in exhibitions and shows, where he jumps and skates as he wants. No rules, no restrictions. Just top quality skating from another planet. @makebelieveup EDIT If you look at pole vaulting, it took 20 years until Sergey Bubka's world record of 6.15m was broken by Renaud Lavillenie with 6.16m. In ski jumping we had to wait 16 years that someone could win all events at the Four Hills Tournament again. Neither sport has suffered in popularity. Records are great, but they don't have to come all the time. I would even say that it's better, if records are rare. That makes them extra special. My personal understanding of the term "G.O.A.T." in sports context is the following: 1. Master (dominant in present) Master a sport in all technical and artistic aspects. Yes, for me sports like athletics, swimming, tennis etc. have an artistic value as well: It's not a coincidence that swimmers with the most beautiful technique and posture are the fastest, too. Mother nature had the great idea to combine beauty and efficiency. Sport is body art at the same time. 2. Ambassador (engraved in history) Move a mass of people all over the world independent from gender, age or nationality and create magic moments that will be remembered, rewatched, discussed and celebrated forever. 3. Hero (inspiring the future) Inspire new young talents to dive into a sport and become the champions of tomorrow. A sport always needs heroes whom children can look up to. As athletes and characters. Yuzu hits all three aspects. 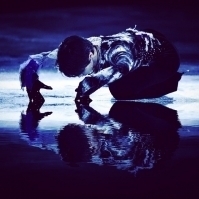 He is the best allrounder on the ice, has one of the biggest and most dedicated fanbases of any sport and he has inspired countless young talents to become figure skaters. I remember all the little flower girls, little Voronov, Sasha Plushenko, Tomoki, Gogolev, Grassl and many many others praising and adoring Yuzu. A skater who inspires an entire era of young athletes, is a GOAT for sure. I think one of Yuzu's biggest secrets to popularity is that he swims against the mainstream. While many top athletes try to match stereotypes, star habits and merge into the high society, Yuzu doesn't really care. His latest 'beauty blog posts' are the best proof. He could've talked about expensive clothes, hair styling, make-up and stuff. No. Yuzuru Hanyu talked about fluffy cats and sleeping. He doesn't care, if people call his costumes girlish, his skating feminine, lacking passion or whatever. He stays true to his style. He doesn't care, if people chuckle about his Pooh plushy or Yuzu dancing and singing full force at the rinkside. He's always 100% Yuzu. Original, natural and charming. Second key to success: He never misses an opportunity to make his fans happy and squeak. It can be a random stretching, Y-spiral, cute smile, funny comment. Pleasing your fans again and again is the easiest way to become very popular. Most top athletes try to act super cool and badass and untouchable, but that can turn into arrogance and isolation quickly. Yuzu always finds a way to give his fans something back. Even if he can't win, he has to offer something that makes every journey and competition worth its price. I think you can sum it up as "expert level of fanservice"
Team Italy did not deserve the last place. For me they have shown a really great team performance with many welcome surprises. Never expected their ladies to be that good, especially Marina. They had balanced highlights in all four segments, which is great. If team Japan wants to stay competitive, there's no other way but going the same road as team US. Boost your BV to infinity, skate clean and make sure that the judges are in your favor. Otherwise it's game over.